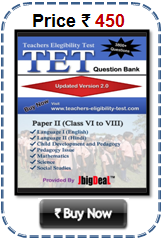 Bihar Teacher Eligibility Test -2018 Bihar TET Result 2018 :- BETET Results 2018 Bihar Elementary Teacher Eligibility Test Exam Paper I and Paper II Exam Result 2018. 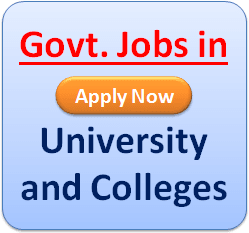 Bihar Elementary Teacher Eligibility Test or Bihar TET Conducted by Higher Education Board of Bihar, for the recruitment of teachers at Bihar Govt. Schools, they conducted Teachers Eligibility Test Examination for the selection of class I to XII teachers. All the candidates of Bihar TET are waiting for the BETET results 2018, Bihar TET appearing students who scores 60% or more in Bihar TET exam 2018 the exam will be considered as BETET 2018 exam Qualified. Bihar Govt. May consider giving concessions to persons belonging to SC/ST, OBC in Bihar State, differently abled persons, etc., in accordance with their extant reservation policy of Bihar Teachers Eligibility Test (BETET) 2018. 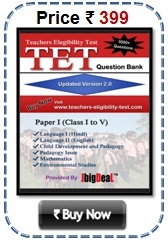 Bihar Elementary Teacher Eligibility Test Should give weightage to the Bihar TET scores in the Teacher recruitment process; however, qualifying the Bihar TET candidates would not confer a right on any person for recruitment/employment as it is only one of the eligibility criteria for appointment. As a process of improvement in Bihar education and study provided in Bihar Board affiliated school conducts Bihar Elementary Teacher Eligibility Test to check ability and general knowledge of applied candidates because this thing is most important for Bihar TET recruitment. Bihar Elementary Teacher Eligibility Test Result normally announced within 60 days of the exam date all BETET students those are waiting for Bihar TET results 2018.
betet urdu 1st result frace me 82 no tha. jo ki qualify tha. 2nd result grace milne par 84 no tha. Jo ki qualify tha . Lekin 3rd last result 71 no hogaya .jo not qyalify tha. My dear friends aap sabhi se anurodh haiki tet ka result me koi garbari nahi hoi hai. koi garbari nahi hoi hai. Assalam o alaikum to all my brothers mai paper 1 me 79 marks laya hu or mai general category me ata hu kiya sach me 13 marks grace karega or kb karega or general wale ko qualifi Karene k liye kitna marks Lana hai agar results ajaye to please is no per k ya whatsapp per mujhe bataye mai app k call ya SMS k intezar me hu. Sir grace marks kb tk add hoga or sir site q nhi khul paa rha h.